Apart from stints in pubs and burger joints before university, I’ve always worked in offices, sitting in front of a screen all day. The most exertion I face is going upstairs to visit colleagues on a different floor. So I found myself unprepared when spending a few days shadowing a surgical outreach team in northern Ghana, speed-walking through villages in the sweltering heat. 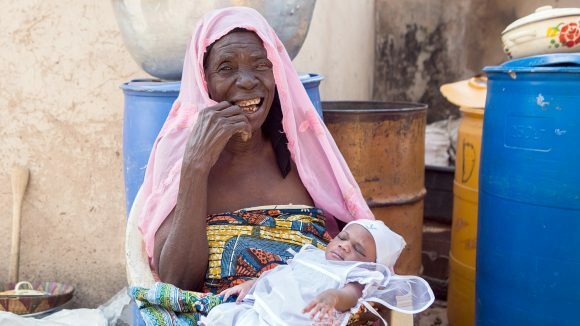 “I could have birthed you!” laughed 60-year-old ophthalmic nurse Mariama when I showed signs of flagging after just a few hours. She then jogged on the spot to really rub in how much energy she still had. As she kindly (pityingly) explained, she does this for months, and I was a first timer. 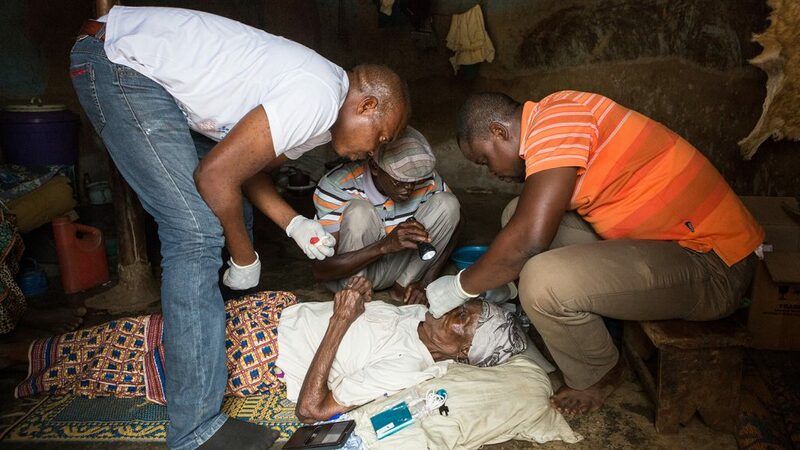 ‘This’ is house-to-house screening for trachoma – the world’s leading cause of infectious blindness. This painful eye disease starts off as a bacterial infection, which can force the eyelashes to turn inward and scrape against the eye, causing blindness. If caught in time, it can be corrected with a 20-minute operation. 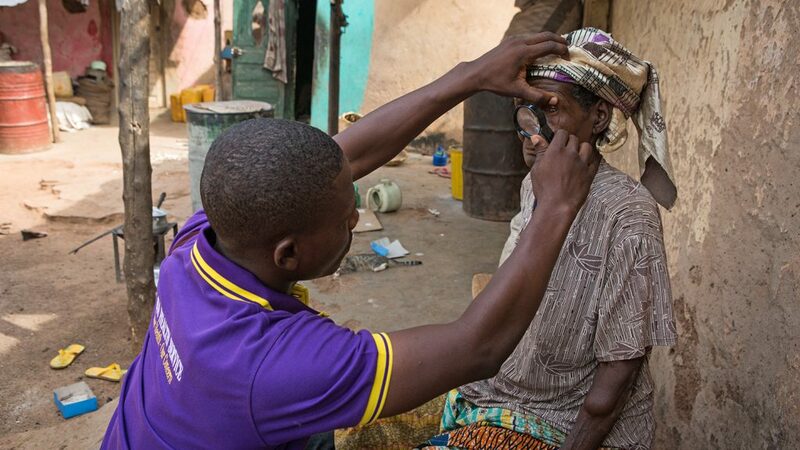 Ghana was on the verge of eliminating the eye disease in late 2016, but first the final cases needed to be found. 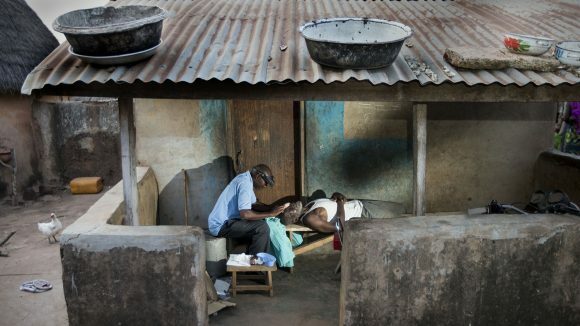 Before Ghana could apply to the World Health Organization (WHO) for formal verification that the disease had been beaten, an estimated 200 operations needed to be performed in Yendi, a northern district where there were still cases of trichiasis, the advanced form of trachoma. With just a few cases left to find in a population of more than 117,000 people, the search for patients was like a needle in a haystack. 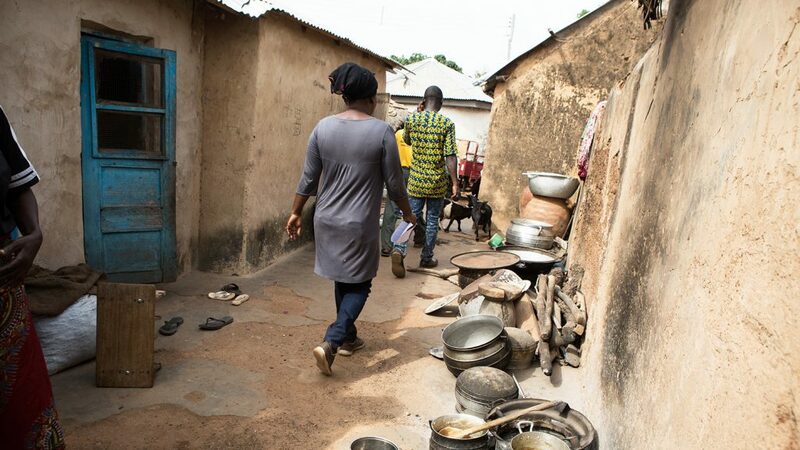 From the tightly packed stone-walled compounds in Yendi town to the expansive rural villages, every person in every household had to be examined. Ophthalmic nurses from all over the region worked in teams of four to cover this ground. Shepherd, Pride, Luciano and their team leader Fusi, who has been working in trachoma prevention since the programme first started almost 30 years ago, kindly let me tag along as they went about their work. 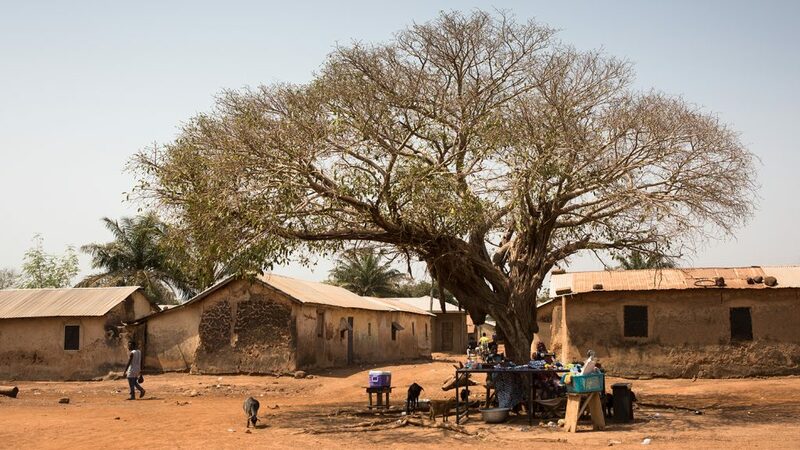 A village in the Yendi region of Ghana, featuring circular mud huts and trees. We started in rural communities populated by collections of residential compounds. We strolled past round mud huts connected by low walls, with chillies and soya beans drying in the sun. After a brief conversation in the community leader’s dark hut, to ask his permission to begin our work, the search began. A local health volunteer helped the nursing team dart in and out of each compound. Residents stopped what they were doing for the few seconds it took Fusi and Shepherd to shine a light in their eyes, while Pride and Luciano noted how many people were home. Before the families had a chance to react, the team had finished checking their eyes and had moved on to the next house. 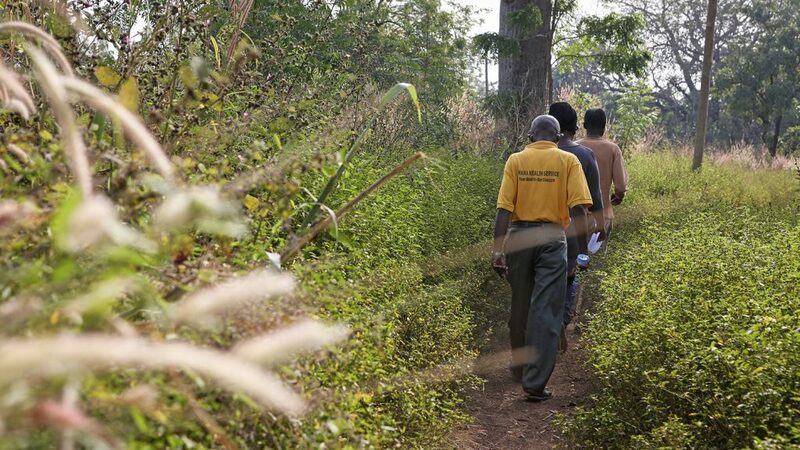 The compounds were spaced out, so although communities were small we covered big distances, walking pathways between tall crops of millet and maize. I struggled to keep up; the sun was scorching hot and there was precious little shade. Fusi and team didn’t bat an eyelid – their energy levels and spirits stayed high. “We’ve come to check your eyes – it’s your lucky day!” someone shouted at a group returning from the fields. Two women have their eyes examined while walking in the field with their crops. The team’s jokes and easy manner put everyone at ease. No one refused the examination. Four communities later and no one with trichiasis had been found. The online messaging app that the teams used to keep in touch showed just one operation had been performed that day. It was disappointing, yet uplifting. Years of antibiotics and surgical campaigns in the area had been effective, but targets still needed to be reached. Tomorrow was another day. 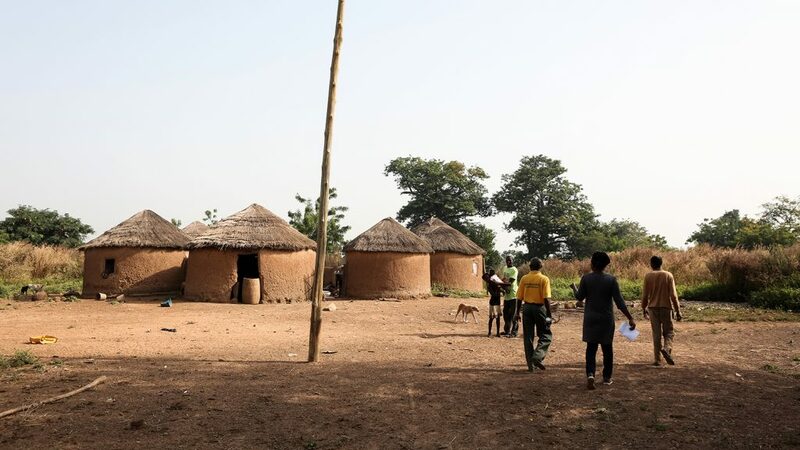 More than 40 per cent of people in the district live in Yendi town. The areas to cover here were smaller, but much more dense than the villages, and the nurses bounded through streets and alleyways. No one went unchecked: groups sitting under trees, staff and customers in tiny shops, even a policeman guarding a bank. People lazing on benches had the torch shone in their eyes without even having to get up. A man has his eyes checked by Shepherd. Zeinab, an elderly lady with visibly painful eyes, was struggling to cook and care for her bedridden daughter. People often refuse the operation out of fear and misunderstanding so we were pleased when, following Fusi’s gentle persuasion, Zeinab agreed to it. Surgery can be performed anywhere, so the team rolled out a mat in her courtyard and prepared their sterilised equipment. Luciano worked quickly, efficient after so many surgeries. In no time Zeinab was sitting up, slightly dazed, but smiling and talking. She was given painkillers and an aftercare routine, and the nurses promised to return and remove her bandages the next day. The surgeries then rolled in. In one compound, two sisters were operated on side by side. One lady had surgery in the cool of her hut; another outside her house. 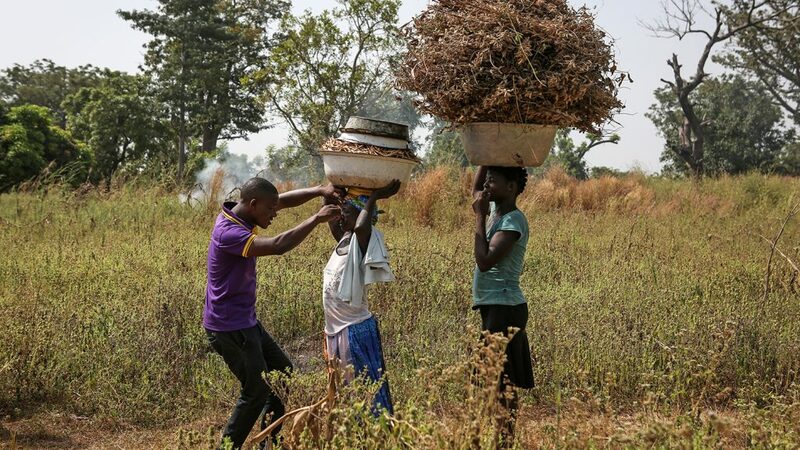 Life carried on around the surgeons as they worked; we heard girls beating maize to make the local staple, fufu, and saw children peep over the wall at us on their way home from school. Seeing bandages removed and wounds cleaned post-surgery was hugely rewarding. In many cases it was the first time in years patients could see clearly and felt free from pain. They expressed joy at being able to pray, to cook, to walk confidently. In one compound there was a buzz of excitement, with women furiously pounding fufu and bustling about. These were preparations for a baby’s naming ceremony, and we’d come to treat the baby’s grandmother, whose poor eyesight meant she had never seen her granddaughter. Her smile, after the bandages were removed and as she looked down at her for the first time, lit up her whole face. He’s right: elimination is an incredible milestone for the country and everyone who lives there. 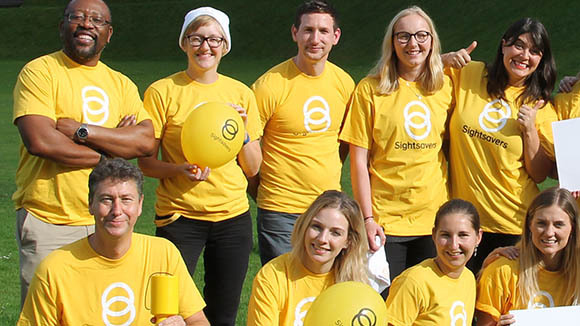 The eye care team walk across a grassy field. 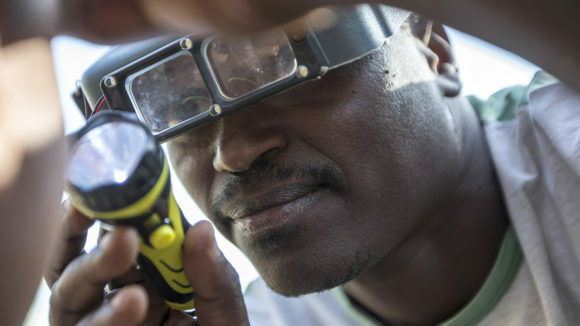 In May 2018, Ghana became the first country in sub-Saharan Africa to eliminate trachoma. Read the amazing stories here. 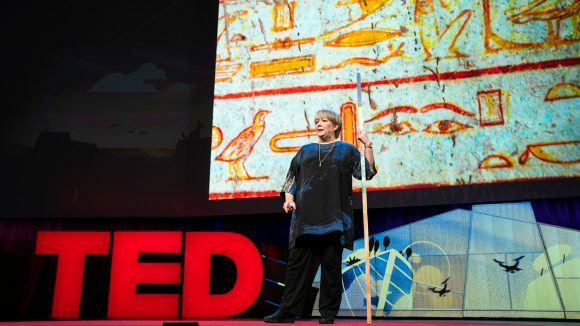 Dr Caroline Harper's TED Talk, in which she laid out an ambitious plan to eliminate trachoma, has been chosen as the day’s top pick.